Tips, get a taxi in Labuan. Shalom, at this time the article is about, I would give guidance to visitors or tourists to Labuan, how to get a taxi. Labuan town is very small and crowded, in fact, to get a cab in this city is easy, but if you first came to this island, you might get a little difficult to get a taxi. Most of the island's taxi company is privately owned but registered them with the taxi associations Labuan and have a valid permit. 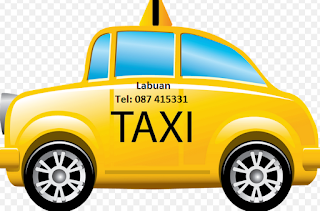 Tips, get a taxi in Labuan. Well, if you take a walk on the island and want to visit interesting places in the island, you can get a taxi at several locations in the city. My advice, if the train is not a symbol of 'Taxi', it is privately owned and they do not have a permit to carry passengers. You suggested just taking a taxi have a valid permit. Where taxi terminal in Labuan? Through my observations, you can get a taxi service in these areas. Financial Park is the only biggest shopping center in the city of Labuan. It is a popular daily, but it is only open until 0700 pm. You can get a taxi here. Here is a taxi terminal area, in front of the building. If you see this place, go to the ticket counter and tell them where you are going and make payment and ticketing staff will show you a taxi for a ride. If you are from Menumbok, Kota Kinabalu or Brunei, you can get a taxi at the Labuan International Ferry terminal. Taxi is located in front of the ferry terminal. These taxis operate starting from 0700 am to 0630 pm. If you take a walk in the city and wanted to go to places to visit in the area of ​​the island, just to Labuan Superstore because this is an area where taxis wait for customers. If you are from Kota Kinabalu or from the peninsula by plane, in the airport taxi service. If I am not mistaken, the fare for a single trip around the island is RM 20, but it is the price of two years ago. My advice before you take a taxi, ask first how the taxi fares. If you are living in hotels in the city Labuan and did not intend to visit places of interest in the island, you do not have to take a taxi because the town on the island is very small and you can only walk alone. Do not worry, you will not go astray in the area. 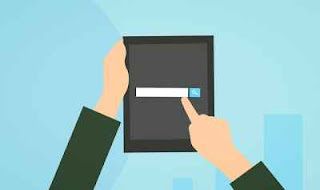 Taxi service on the island is operated until 1200 nights only, if you need a taxi after hours, I advise you to save the phone number of any taxi driver in the city and they are willing to help you. If you need a bus, go to the Utama Jaya or if you do not know the area, you can request a demo to the public. They will help you.